A visit to Tuscany is not only a plunge into history and culture, a tour of quaint hilltop medieval villages or walks down cypress lined lanes or on striking beaches, but also an oenogastronomic experience one will unlikely forget. 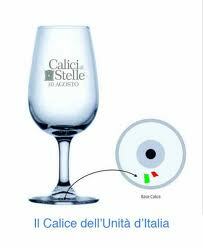 And coming up soon is ‘Calici di Stelle’, Goblets of Stars, one of the main events of Italy’s wine-tourism, involving all of its regions, as well as the most expected amongst wine lovers during the summer. As every year on the 10th August, coinciding with the Perseid meteor showers on, what here they call, the ‘Night of Saint Lawrence’, towns all over Italy organize events with wine tastings and cultural appointments. 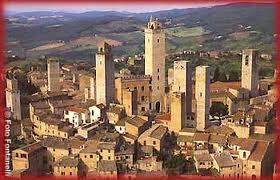 This year sees a record of 30 towns of Tuscany participating, mostly from the area of Siena. Alongside wine tastings, strictly with crystal glasses, there will be local food products to savour, music to entertain, open-air shows and special tour itineraries to discover the less frequented, but certainly not the less attractive, sceneries. This year’s edition also sees wine as a symbol of the Italian unification, on the occasion of its 150th celebration and for this reason a special wine glass has been created. Furthermore a particular initiative this year regards awakening public opinion to environmental problems. Together with recycling, alternative energies, energy conservation and waste sorting wine growers are studying other means of optimizing and reducing wastes during the production cycle. Among the participating Tuscan towns, Montepulciano is hosting an art and antique market as well as exhibiting its flag-wavers and drummers in its historic centre, whereas San Gimignano is organizing wine related games and a raffle with a first prize of 100 bottles of wine. Castellina in Chianti, Castelnuovo Berardenga, Castiglione d’Orcia and Siena instead are opening their museums by night and arranging evening visits of their main monuments. A fascinating opportunity for wine lovers who will be able to toast under a celestial shower of meteors. For more information on this event please write us at info@tuscanyholidayrent.com. For the best Chianti accommodations or holiday homes in the Val di Chiana please click on the links. Questa voce è stata pubblicata in Culture and accommodations in Tuscany, Festivals and feasts in Tuscany, Senza categoria, Tuscan food and wine. Contrassegna il permalink.